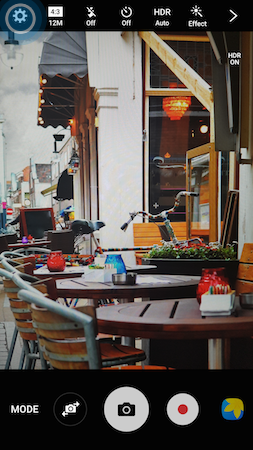 By default, your photos and videos are stored on your device's internal memory. 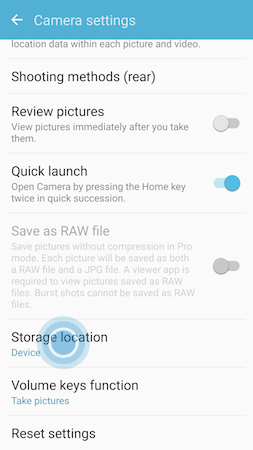 If you have installed a microSD™ card in your device, the device will ask if you want to save photos to the microSD card the next time you open the Camera application. Note: The provided information refers to the devices sold in Canada. Screens and settings available may vary depending on your Canadian wireless service provider and your software version (Android 6.0 Marshmallow for this FAQ). 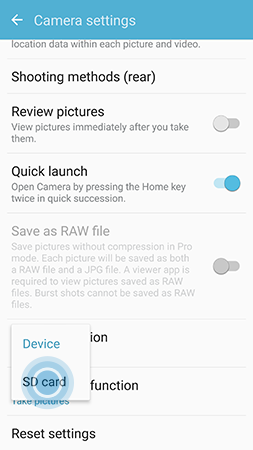 Note: Photos and videos taken using certain camera modes will be saved to the device regardless of the storage location settings. 1 From the Home screen, tap Apps > Camera. 3 Scroll to and tap Storage location. 4 Tap Memory card to change the default save location.